The groundhog saw his shadow on the first Tuesday of February, predicting six more weeks of winter. While many more days of cold weather and gray skies are a bummer for those of yearning for a warm, sunny spring, the wintery weather sets the perfect backdrop for a major trend in Columbus: hotpot restaurants. Hot pot is a style of cooking commonly practiced in East Asia. A stove, usually electric or gas is used, and the temperature and speed can be adjusted to achieve a perfect, simmering pot of delicious broth sitting above, in which many different meats, vegetables, seafoods, and noodles can be cooked at the leisure of the diners. 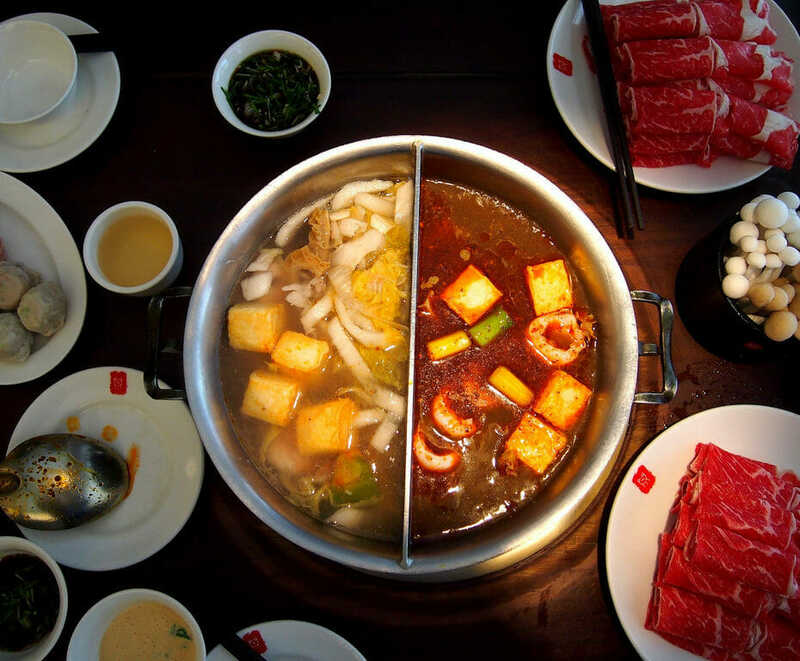 In these past couple of years, Columbus has seen three new hotpot restaurants, all of which have garnered popularity among a diverse crowd of customers. Mr. Pot, nestled in Kenny Centre Mall, has a modest storefront matched with casual interior decorations. While this venue holds a decent number of tables, it would be smart to make reservations as the dining room fills up quickly during lunch and dinner rush-hours, especially on weekends. Once seated, you are presented with a menu that gives a selection of 6 different broths including the original beef broth, curry lover, and Japanese miso broth. A neat option is the two-sided pot, which can hold two types of broth to satisfy everyone in the party! Fifty items are available to cook, with 15 types of vegetables, lamb, beef, chicken, fish, shrimp, tofu, and 5 types of noodles. For those who can’t decide what to get, there is an All You Can Eat option which includes all the items on the menu as well as Combos that are available on weekdays. A sauce bar on the side hosts a selection of over 15 sauces and condiments, including soy sauce, scallions, hoisin sauce, and cilantro. The pots that bubble away create a cozy atmosphere, just perfect for a getaway from the chilly weather outside.